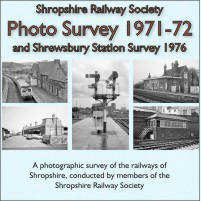 Originally published by Shropshire Railway Society to commemorate the 150th anniversary of the opening of the Shrewsbury to Chester Railway, 12 October 1848, new copies are still available. 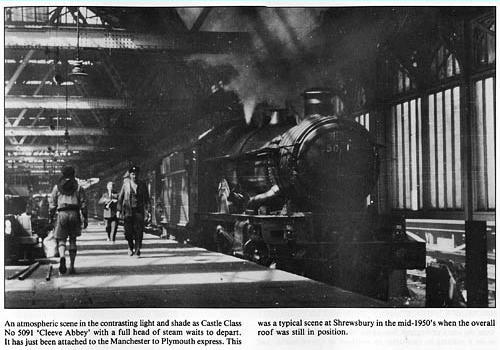 A pictorial rail journey from Shrewsbury to Chester. 60 pages of photographs focusing on the mostly GWR steam locomotives which operated the route, plus more recent photographs including some of the architecture of the route and special workings on the line. A4 landscape format, limp cover, now priced to clear at just £3.50 incl. p&p. 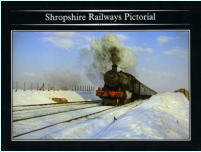 Originally published by Shropshire Railway Society in 1989, a number of copies have been found, new and unsold, of this long-out-of-print publication A photographic record of (mostly) steam railways in Shrewsbury and around the county of Shropshire. Main lines, branch lines, minor and industrial railways, and their trains, many long-since departed, are covered; mostly b&w. 228mm x 175 mm (9" x 7") landscape format, 74 pp, limp cover, just £4.95 (original cover price) plus £1 p&p.